What is digitisation and why do we do it? 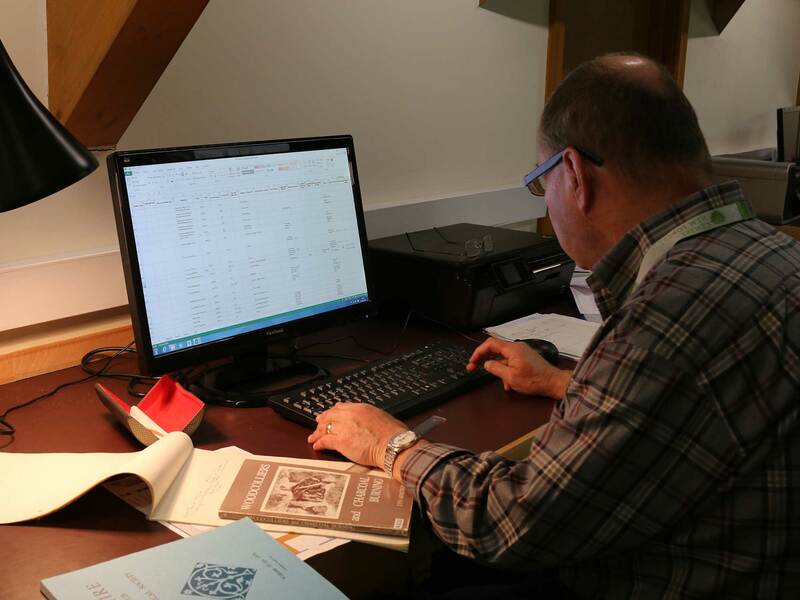 By digitising our historical documents, some of which are fragile or light-sensitive, we are helping to preserve them for future generations. In many cases, digital copies will be able to be viewed in place of the original, therefore saving them from damage through excessive handling and use. When information is shared, new discoveries and connections can be made which help to develop our knowledge of an object and its story. The New Forest Knowledge website will be able to showcase those discoveries we have already made, and allow users to make new discoveries! Can you help us discover more? These are a couple of photographs from our collections—but we don’t know who or where they are! Can you help? Do you recognise a place or a familiar face? If you think you can give us any more information about these, or any of our other photographs, please get in touch. You can pop into the library on a Wednesday (10am-4pm) or Friday (10am-12.30pm), call us on 02380 286150, or you can email library@newforestcentre.org.uk. Can you name anyone in this photo? 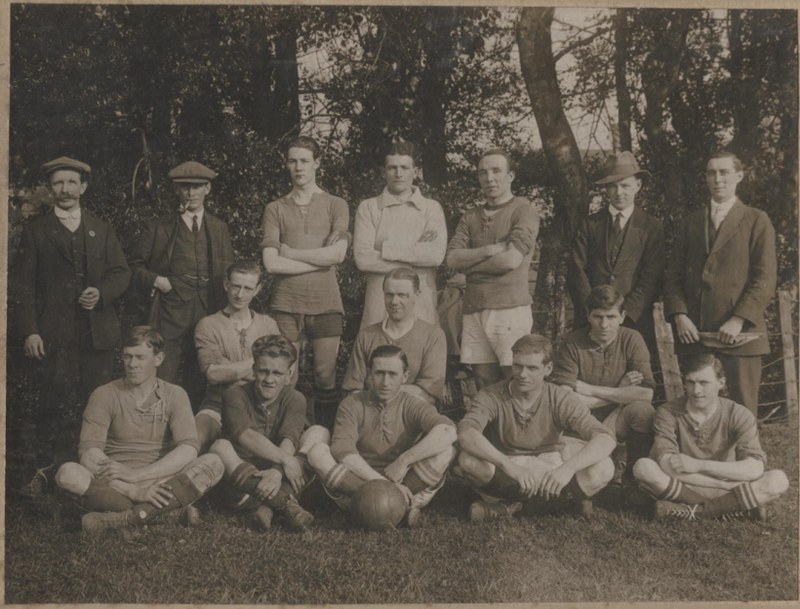 It is thought to be Lyndhurst football club (date unknown). 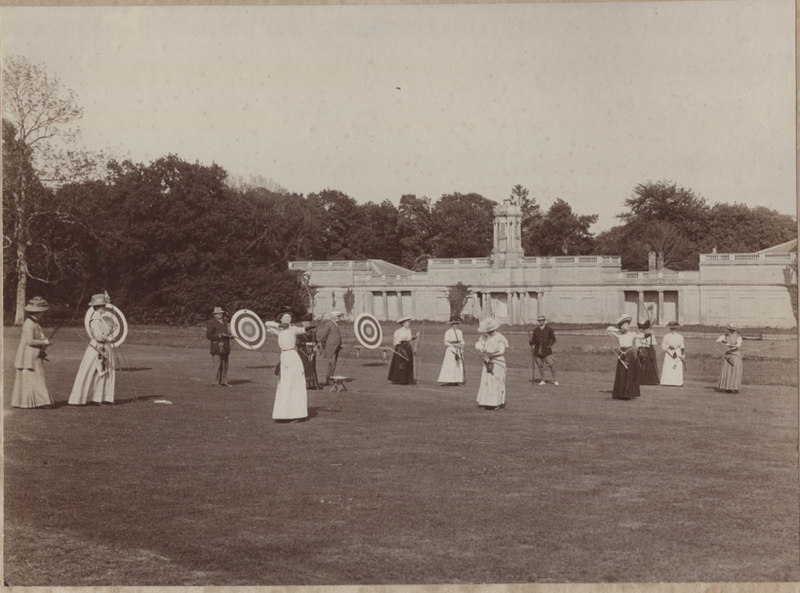 This photo is believed to be Brockenhurst Archery Club – but where are they?